A study by J.D. Power and Associates shows that overall customer satisfaction with hotels is down significantly from last year. Worth noting, however, is that even in a poor economy that has caused brands to try out a number of cost-cutting efforts (at times unsuccessfully), several top contenders were able to once again take home the prize for best in their segment. Overall, five out of the six brands that received awards this year in the 2008 North America Hotel Guest Satisfaction Index Study have hung onto that designation for at least two consecutive years: The Ritz-Carlton in luxury (second year), Embassy Suites Hotels in upscale (second year), Hyatt Place in mid-scale full service (first year), Drury Inn & Suites in mid-scale limited service (third year), Microtel Inn & Suites in economy/budget (seventh year), and Homewood Suites in extended stay (second year). Perhaps they can serve as models for what can be successful despite challenges facing the industry, which saw an overall drop in satisfaction across four out of the six segments (upscale, mid-scale full service, mid-scale limited service and economy/budget), according to the study. The research looks at responses by more than 53,000 guests in regard to their level of happiness with reservations, check-in/check-out, guest rooms, food and beverage, hotel services, hotel facilities and costs and fees. 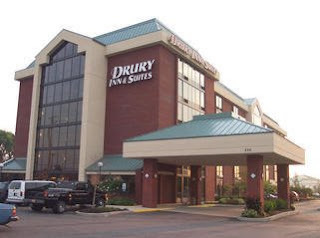 Another notable is Drury Inn & Suites, a family-owned brand with 120 hotels across 19 states, which beat out big names like Holiday Inn Express and Hampton Hotel Inn and Suites. Drury received ratings of “among the best” in each category measured and succeeded this year in reaching a three-year high in overall satisfaction, according to the report. I’ll be taking a closer look at the results in our September 1 issue of Hotel & Motel Management. In the meantime, take a look for yourself and tell me what you think so far. Good to see the Embassy Suites Hotels maintaining their place in the guest satisfaction index. We visit many of their properties and are impressed with the service improvements they have made over the last few years. It is one of my favorite brands for families and often my personal choice when I am traveling.